There are a lot of different possibilities to transform your staircase from an everyday object to a stunning centerpiece. A Staircase Renovation is a perfect way to do this without the intrusive and messy process of having to replace a whole staircase. Today we share Mrs Meadowcroft’s journey from enquiry to completion to show you exactly what’s involved with our renovation service. Staircase renovations are a perfect way to get a show-stopping staircase without having to replace the whole staircase. 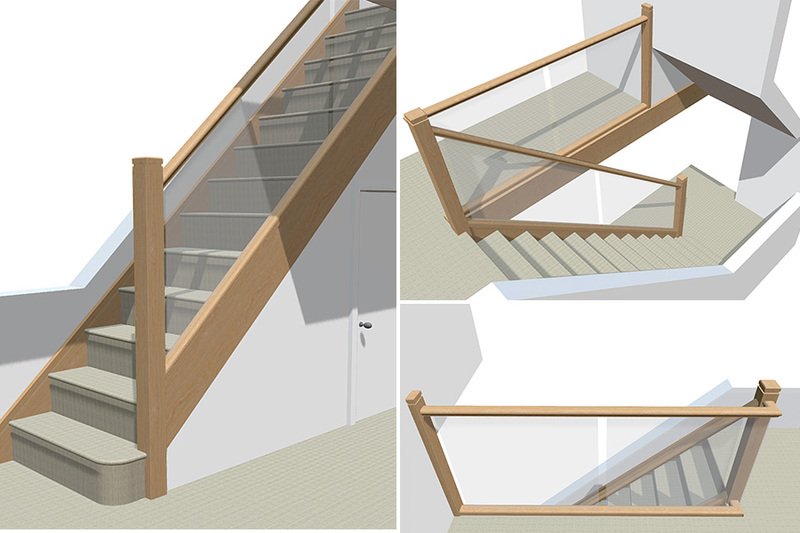 Using elements of the old staircase as a base we can introduce new parts to give the staircase a brand new standout look. 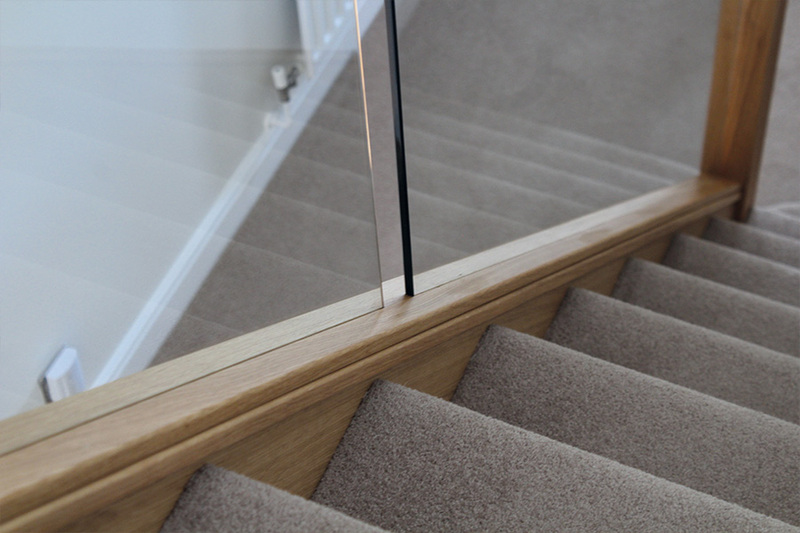 Maybe you have a dark hallway and you want to brighten up the place, a glass balustrade is a fantastic way to do just that, allowing light to flood your hallway. 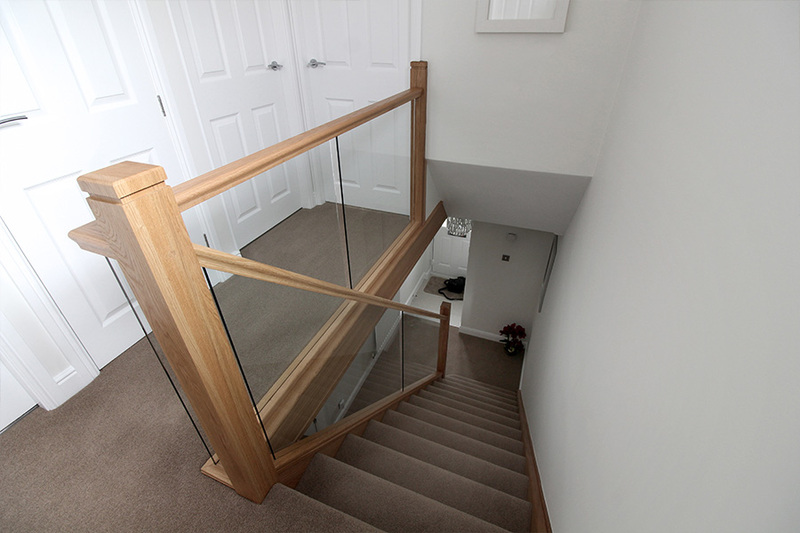 Our glass balustrades are perfect for making confined spaces feel much bigger and spacious. Following on from her inquiry and online quotation, we organised a consultation with Mrs Meadowcroft. Consultations give our customers the perfect chance to see and feel the high-quality finishes for themselves. 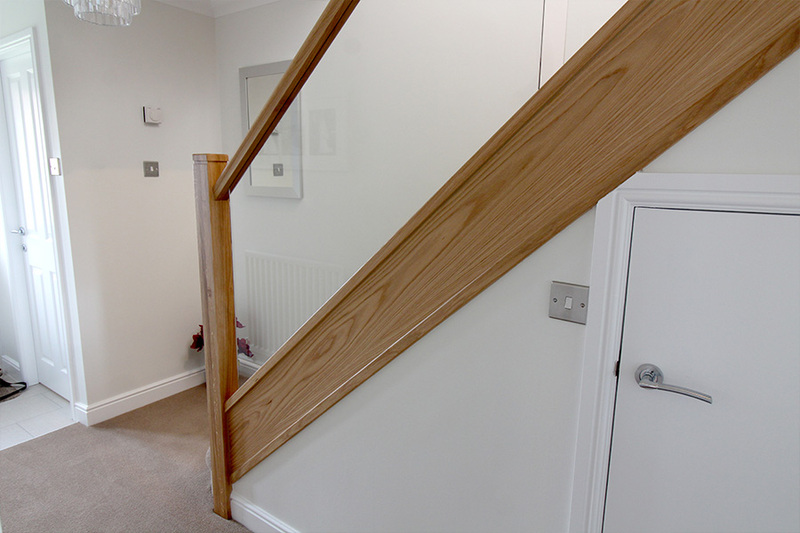 During our consultations, we walk you through the full design using high-quality 3D visuals to show you the exact finish of your staircase renovation. The samples we bring help us to demonstrate exactly how things will work and allows the customer to feel the quality and finishes too. When the consultation comes to an end we survey(measure up) the staircase which then allows us to proceed to the manufacturing stage of the project. This cuts out the expensive middle man, meaning there is no salesman or surveyor involved, all our team are employed trained designers and surveyors! Following our survey any changes made during the consultation are implemented and a fresh set of design drawings are produced. These drawings are sent to you to ensure you are 100% happy with the design before production commences. 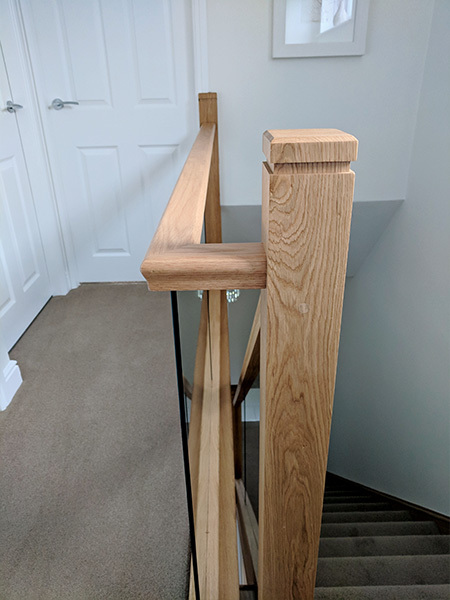 For Mrs Meadowcroft’s project, all of the newel posts were replaced with solid oak newel posts featuring machined kerf cap for the detailing at the top of each post. 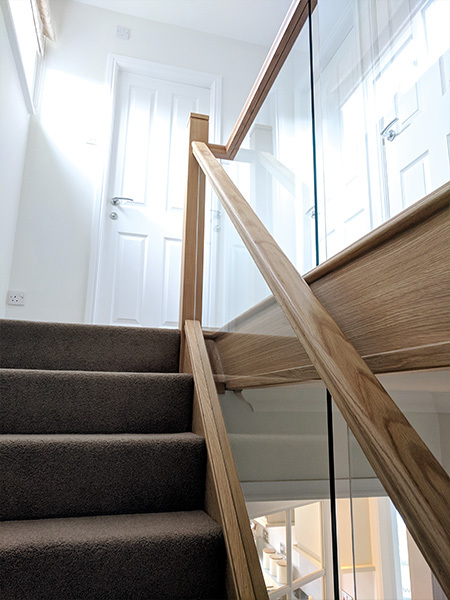 The balustrade was replaced with our inline toughened glass balustrade which allowed light to flow through the hallway, giving it a nice contemporary open feeling. Without the need of any fixings on display. 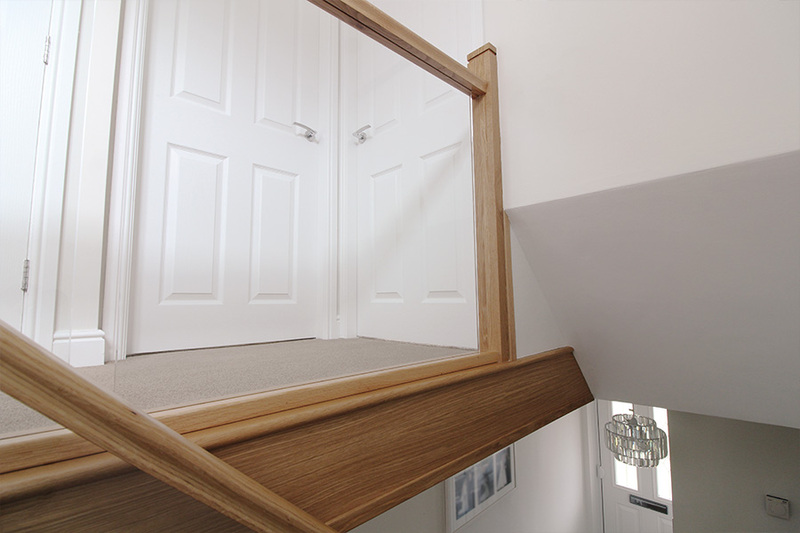 During the installation you are not limited to staying downstairs, you can still use your staircase during the entire installation. A renovation like this typically takes 48 hours to complete, but sometimes an extra day is taken to work on the fine details of the staircase. We much rather take our time for the perfect finish. Mrs Meadowcroft is incredibly happy with the results of her renovation and it has certainly shown. The fitter’s craftsmanship and attention to detail goes a long way and puts smiles on our customer’s faces. 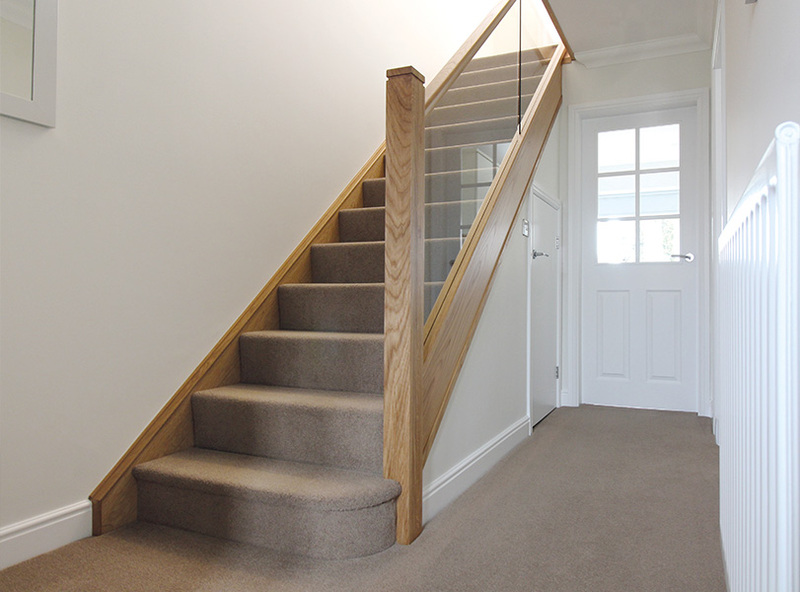 Do you want to bring your staircase back to life?